Divide the total amount of your gas/electric utility bill by seven (7) the next time you pay it. (Gas utility for gas water heater; electric utility for electric water heater.) The end result will be close to the amount you spend on heating your water. Water heating is the second highest energy use after home heating. Under normal conditions, water heating accounts for up to 20 – 25% of your utility bill. So why do we always wait until the old one fails before we wisely shop for a replacement? 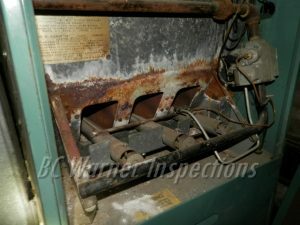 How many of us have had water heater failure during the most inappropriate times. You know – Holidays, family visits, weddings, proms, etc., and end up with an emergency purchase. The last thing on our mind is energy-efficiency. We just want hot water, and we want it NOW! Instead of becoming well-informed consumers, we turn into emergency impulse buyers. We rely upon our plumber, contractor, local merchants, friends, and relatives for either the best price or brand. (As a rule of thumb, the least expensive water heater is the most expensive to operate.) With this in mind, lets examine the various considerations we all should take before purchasing our next water heater. What size or capacity will I need? Medium Home 3 people 50 gal. Electric; 40 gal. gas/propane 30 gal. oil. This scale is just a recommendation. Factors such as whirlpools, etc should also factor in and be weighed when making your decision. Check with your local professionals for more accurate sizing. The most popular for residential water heating. They operate by releasing hot water from the top of the tank when a hot water tap is on. Cold water is introduced to the bottom of the tank as hot water is drawn. These tanks operate on electric, gas, propane, and oil. Because the water is constantly heated with this system, energy can be wasted even when not being used. 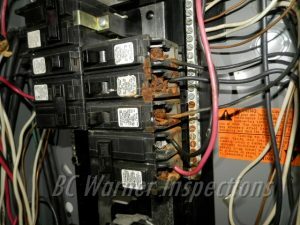 This is referred to as “standby heat loss”. Consider tanks with at least 1.5 inches (3.8 centimeters) of foam insulation and energy efficiency rating shown on the EnergyGuide labels. Insulation is instrumental in the prevention of standby heat loss. Also commonly known as “Instantaneous” water heating. This system significantly reduces standby heat loss and reduces energy consumption by 20-30%. With these systems you never run out of hot water. Water travels through a piping system within the unit, and either a gas burner or electric element heats the water on demand. The biggest drawback to this system is limited flow rate. Demand heaters provide hot water at a rate of 2 to 4 gallons per minute. More than adequate if operating hot water at only one location. However inadequate, if two or more are operating at the same time (i.e. shower and clothes washer). For additional costs, demand heaters can be installed in parallel sequence allowing or meeting hot water demands for multiple faucets operating at the same time. Gas fired demand heaters tend to have higher flow rates than electric. You should note that some gas demand heaters operate with a constant pilot light, however, the amount of energy consumed by a pilot light is quite small. Electric systems that move heat from one place to another instead of generating heat directly in one spot. They operate in the same manner as refrigerators only in reverse. They can act alone with built-in storage tanks or as add-ons to existing water heaters. They have a high initial cost and require installation in locations that maintain a 40 degree Fahrenheit or higher temperature yearlong. 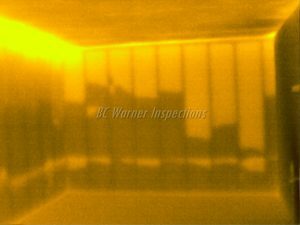 To operate most efficiently, they should be placed in areas having excess heat, such as a furnace room. They will not function properly in a cold space. Tankless Coil – No separate storage tank is needed in the tankless coil water heater system. Water is heated directly inside the boiler in a hydronic (i.e. hot water) heating system unit. Water flows through a heat exchanger in the boiler whenever a hot water tap is turned on. During the heating season, the tankless coil works well because the heating system is used regularly. The system is less efficient during warmer clients when the boiler is used less frequently. Indirect – Requires a separate storage tank. Uses the same method of heating water through a heat exchanger as the tankless coil system. However, this heated water then flows to an insulated storage tank (most carry a lifetime warranty). This system is more efficient than the tankless coil because the boiler does not need to operate frequently. When an indirect water heater is used with a highly efficient boiler, they combine for one of the least expensive methods of water heating. Strongly dependent on the sun, solar water heaters if properly designed, installed and maintained can satisfy half to nearly all of a home’s hot water demand. System designs are either classified as passive, active or direct. The initial costs are high but overall operating costs are significantly lower. Passive systems operate without pumps and controls and can be more reliable, durable, less maintenance, longer lasting, and less expensive to operate than active systems. Active solar water heaters require pumps and controls to move heat-transfer fluids from collectors to storage tanks. Both systems often require conventional water heaters as back-ups. A direct solar water heating system circulates water through collectors and is not appropriate or recommended in climates in which freezing temperatures occur. Most consumers base their purchase on the size of the water heater. However, the peak hour demand capacity, referred to as the first-hour rating (FHR) and Energy Factor (EF) should be the major basis. FHR is a measure of how much hot water the heater will deliver during a busy hour, and it is required by law to be listed on the water heaters EnergyGuide label. Gas water heaters have higher FHR’s than electric units of the same size. It may be to your benefit to switch to a smaller gas unit. Please bear in mind that if you do decide to switch, other installations costs may be incurred. See the venting section below. EF is the best indicator of a water heater’s efficiency, which is based on recovery efficiency (how fast heat is transferred to the water). In short or layman’s terms, the higher the EF, the more efficient the water heater. – converting to a gas or oil-fired water heater in an electrically heated home. In this instance, since no chimney will be available, you have the option of installing a direct vent or power vented gas or oil water heater. Flue gases are extracted through the sidewall of the home. – converting from an oil-fired water heater to a propane or gas model. 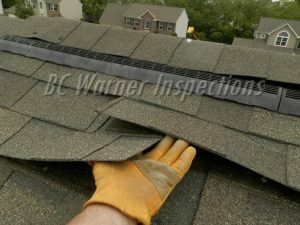 May require that your existing chimney or vent to be resized and the liner changed to maintain adequate draft to avoid condensation in the vent system. Alternatively, a direct vent or power vented unit could be installed. – replacing an existing gas, propane or oil-fired water heater with a more efficient model. Sidewall venting may be the only practical option because of the potential increase in condensation formed in the venting system. – replacing an existing gas, propane, or oil-fired water heater with an electric water heater. Electric water heaters require no venting. They are simple to install and can be located in many areas of the home. Most municipalities require permits, etc. prior to installation/replacement of water heater systems. Consult your local code officials for details. As always, if you feel uncomfortable performing any of these tasks, please consult a professional.